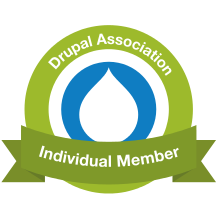 I'm really looking forward to speaking to the Oxford Drupal User Group on Wednesday 3 February (just under two weeks' time....) I'll be talking about a recent project I did which employed Behat and Behaviour-Driven Development (BDD) to build a news management site in Drupal. OxDUG is a fantastic meetup, one of the things I've really missed so far about being in Sheffield: there's a Yorkshire meetup, and it's great (I'm especially looking forward to the Drupal global sprint weekend event happening there), but it's usually over in Leeds. Leeds! Anyway, if you can make it to OxDUG, please do! I won't go so far as to say you're in for a treat, but you're in for something. I wish: my guilty secret is that I'm actually doing this presentation remotely...! I still want to get back to Oxfordshire when I can, but it's difficult timing for February: a global sprint meetup in Leeds at the end of Jan, and a 2.5-day hack-"day" in Sheffield the weekend afterwards. So I just can't fit the trip down and back in amongst actual client deadlines. Hope to be back maybe for April's OxDUG or later, we'll see. I'll mention on Meetup if I am, for sure!